MSPM faculty, Dr. Julia Keleher is the new designated Secretary of the Department of Education in Puerto Rico. Her appointment came shortly after the Christmas holidays, on December 28, 2016. Under the administration of Governor-elect Ricardo Rosselló Nevares, Dr. Keleher will be overseeing the management and usage of funds in the Department of Education, and using all available information to assess the actual performance of the education system in Puerto Rico. Dr. Keleher has spent a considerable part of her 20-year professional career managing educational projects, overseeing the use of federal funds, and providing technical assistance to school districts and educational agencies, so they could comply with the requirements established by the US Department of Education. She also founded her own educational consultancy firm, Keleher & Associates, in 2009. Dr. Keleher currently teaches DNSC 6235 Communication Strategies in Project Management at the George Washington University. The GWU MSPM family is proud of her recent success! This entry was posted in Uncategorized and tagged DNSC 6235 Communication Strategies in Project Management, Dr. Julia Keleher, Secretary of Department of Education Puerto Rico on February 14, 2017 by Agnes Socrates. Congratulations to our esteemed MSPM Professors, Drs. Kwak and Keleher for having been selected as presenters at the PMI® Global Congress 2016—North America! The Global Congress will take place at the San Diego Convention Center from September 24-27, 2016. Their topic, “Managing Risk and Implementing Strategy: The Importance of Leadership and Management Skills,” will tackle how project management methodology supported the deployment of an innovative risk assessment tool. Participants will identify how to use project management methodology to facilitate strategy implementation, learn about innovative approaches to risk management and identify ways to customize the implementation of project management methodology. Identify how use of project management methodology can facilitate strategy implementation. Gain exposure to and understand innovative approaches to risk management. Identify ways to customize the implementation of project management in response to an organization’s culture and strategic goals. More information about their presentation including the schedule is posted here. Young Hoon Kwak is a faculty member at The George Washington University School of Business (GWSB) in Washington, D.C. and holds a guest professor position at faculty of economics and business administration at Ghent University in Belgium. Dr. Kwak currently serves as editor-in-chief of the Journal of Management in Engineering. 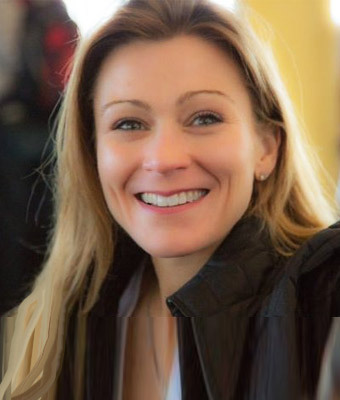 Julia Keleher is the founder of Keleher & Associates, LLC., a boutique consulting firm with principal offices in Washington, D.C. She has designed and implemented various large-scale change initiatives over the course of her nearly 20 year career. Julia earned her BA in Political Science and MS Ed in Psychological Services from the University of Pennsylvania. She completed her MBA in 2013 and holds a doctorate degree in Education Leadership from the University of Delaware. This entry was posted in Events, Newsletter/Announcement, Students, Training, Uncategorized and tagged Dr. Julia Keleher, Dr. Young Kwak, Managing Risk and Implementing Strategy, PMI Global Congress North America on August 29, 2016 by Agnes Socrates.